People were following Jesus everywhere. One day they followed him up the side of a mountain. Jesus turned to the crowd of people and began teaching them many things. At one point some of the disciples asked Jesus to teach them who to pray, just as John the baptizer had taught his disciples how to pray. So, Jesus told them to pray this: “Our Father in heaven, hallowed be your name, your kingdom come, your will be don’t on earth as it is in heaven. Give us today our daily bread. And forgive us our debts, as we have forgiven our debtors. And lead us not into temptation, but deliver us from the evil one.” (Matthew 6: 9-13) In Luke’s account of this teaching, Jesus goes on to tell two parables to show us how we should ask for things. 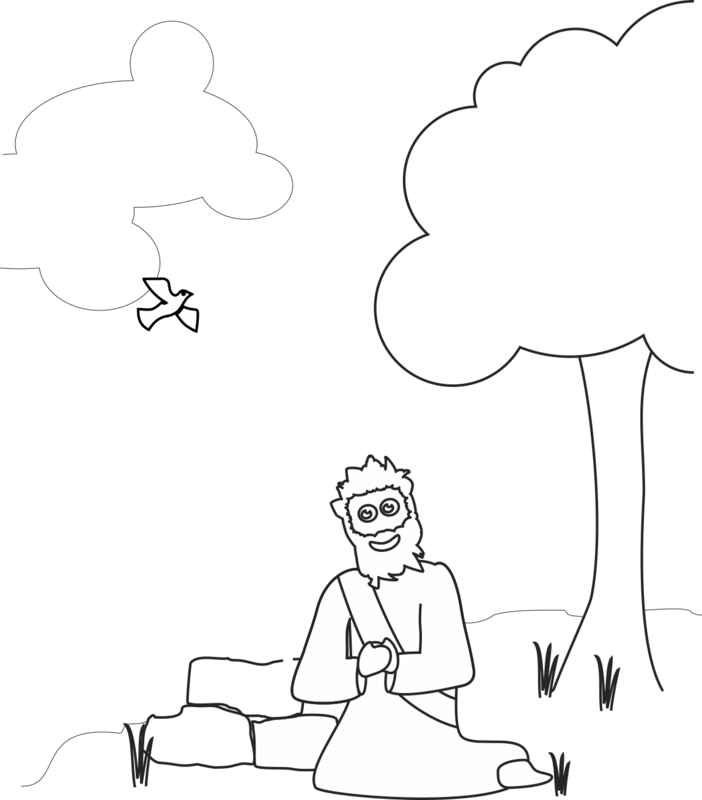 The first parable shows us that we should ask with persistence. The second shows us when we ask for good things, God will give us good things. 1. Before class, place all your items in a bag. Make sure you have enough items that each child can be given one. 2. As an example for the second parable in this story, instruct the children one at a time to ask you for anything they can think of that they would like to have at that moment. 3. As they ask for something, pull and item out of the bag and give it to them. Try to make it as far away from what they asked as possible. 4. Discuss how it felt for them when you gave them the things they did not like. Explain to them that God likes to give us good thing. In teaching the disciples to pray and sharing the parables along with it, Jesus is telling us that prayer is something that should always be on our lips. Jesus is continually demonstrating the importance of prayer. We often see him going to a lonely place to pray. The disciples understood the importance of prayer, too. That is why we are told to pray without ceasing. (1 Thessalonians 5:17) It is how we stay connected with Jesus. 1. Choose one child to be the ‘mother’. Have that child stand at one end of the classroom, facing the wall. Have all the other children line up against the wall on the other side of the room. 2. The children will now take turns asking “Mother, may I ___?” and makes a movement suggestion. The mother either replies “Yes, you may” or “No, you may not do that, but you may ___ instead”. 3. The child who reaches the mother first wins and gets to be the mother for the next round. 1. Give each child a pen and a notebook. These will be theirs to keep. 3. Open the notebook and lay it flat on a piece of colored paper. Trace the notebook and cut it out. Close the notebook. Glue the cut out onto the outside of the closed notebook. Decorate the outside of the notebook with colors. 4. Encourage the children to write down their prayer requests in the notebook. Also encourage them to write down when God answers those prayers.